Rafford Village Hall was orginally a church, built in 1889, but was bought by the community in 1950 for use as a hall. 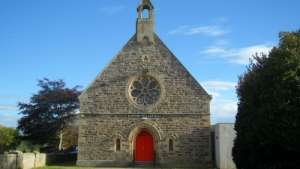 An earlier church had been built in 1843 and this sat in front of the hall, where the car park is now. 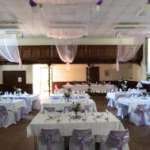 The hall has a large function room which can host approximately 100 people for dancing and more for seated events. There is a small stage area with a separate door and ample electricity points. 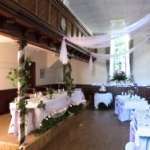 The large windows in the hall ensure plenty of natural daylight and with a few decorations the hall can make a beautiful wedding reception venue. At the back of the hall there is a recently modernised kitchen and a disabled access. At the front of the hall there is an additional toilet block which includes a disabled toilet with baby-changing facilities. Rafford Hall is situated 3 miles east of Forres and occassional users are charged £16 per hour. There are reductions for regular bookings.